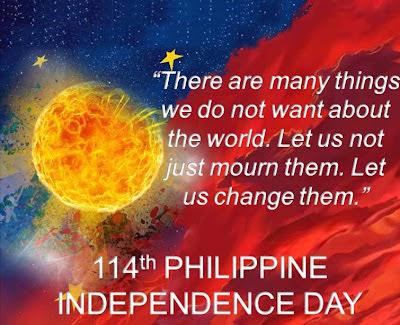 Yes, my beloved country is celebrating its 114th Independence Day, today the 12th of June. The celebration will be done in almost every part of the Archipelago. I will miss the celebration. I got work tonight. I need my sleep. It had been raining in Manila lately. I do hope the rain will not bother this special occasion as it happens only once a year.